The saying goes, fool me once shame on you, fool me twice shame on me. Apparently ES File Explorer has never heard that saying, or they chose to ignore it. After updates late last year brought harsh criticism for their inclusion of invasive and annoying popups and advertisements, ES has seemed to be on a steady decline. What first started as memory cleanup notifications have blossomed into a full blown lockscreen replacement application that brings with it, you guessed it, advertisements to your lockscreen. ES was powerful, bringing with it a host of cloud connections, local LAN/FTP support and even a browser making it a great all-in-one solution and one that many of us still used despite its lackluster UI. By far one of the top responses from both the XDA Writers team and Twitter was Solid Explorer, and it is not difficult to see why. Personally I have never used it before today, but I am hooked. Solid Explorer is a surprisingly robust explorer with an astonishing amount of plugins and external storage support. All your favorite cloud storage service hooks are here including Dropbox, OneDrive, Box along with local solutions like LAN/SMB and FTP support and even more can be added through plugins like Amazon and Mega. The application also looks fantastic. Beautiful theming, colors, (limited) icon support, and a healthy dose of material design sprinkled throughout really do the almost impossible, combine power and beauty. If I had to nitpick a little it would be that the application can have a few too many IAP’s. Some color schemes and plugins cost money on top of the $1.99 price of the application itself and I found myself wishing I could just purchase everything in one shot. An important note though is that this never gets in the way of using the application. I am all for an app developer making money without selling themselves out to advertisements or restricting basic features, so if this is how they found to keep the lights on and bills paid then keep on going guys. For $1.99 Solid Explorer is a… solid buy…. 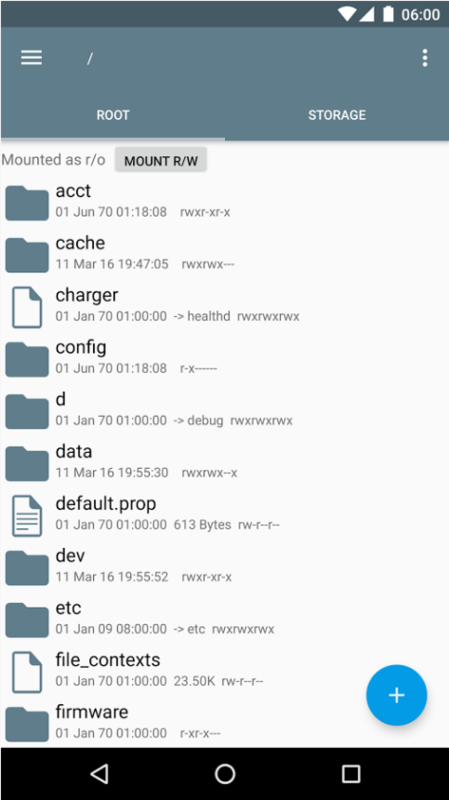 If you liked the look of ES File Explorer you will feel somewhat right at home on FX. It follows a similar tile arrangement that while functional, can be a little cluttered. When it comes to displaying its capabilities, FX is quite a bit better for discovery than Solid or Root Explorer since it places almost all available features front and center. Colors are bright, iconography is nice and they help distinguish different features instead of being a singular mess of things to do. FX also goes further by trying to be a jack of all trades by offering a gallery, file sharing manager, as well as a music and video player. You know what they say about a jack of all trades though and FX is no different, in most cases you’re better off going for a dedicated application for these features as FX doesn’t do any of them especially well, but for some users it may be nice to have. One of FX’s best features though is its split view multi-window mode (Solid has this as well but only in landscape mode). 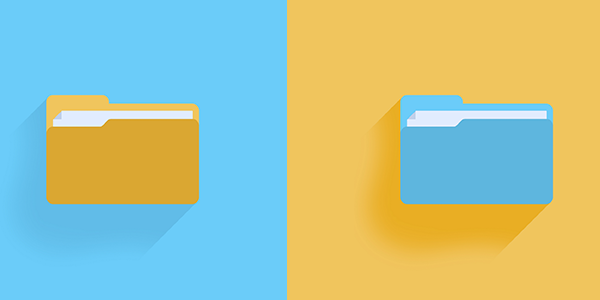 Dragging files from one directory into another is simple and painless and this is a nifty feature, but one many people won’t need to use often. 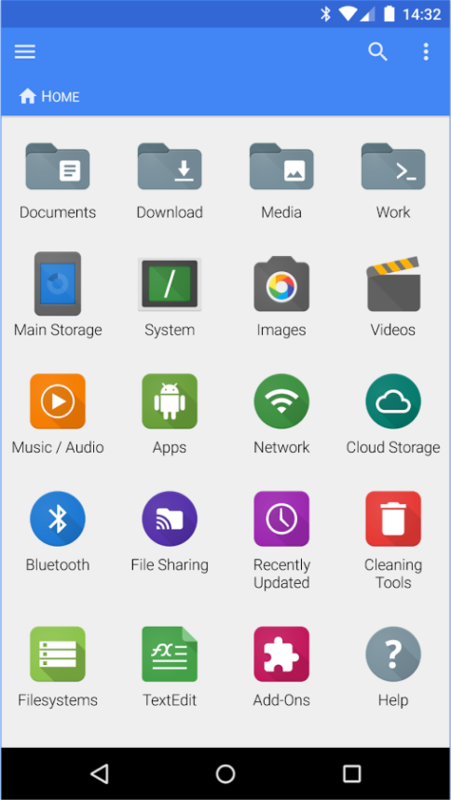 When all is said and done though, FX File Explorer is a fully featured file manager that has many tricks up its sleeve and is a good purchase if you just have to have that tiled home screen. As I mentioned in the beginning, there is no shortage file managers on Google Play so here are a few honorable mentions. Total Commander (Link) is a very powerful application but suffers from a horribly confusing interface. MK Explorer and Documents Beta (Link and Link) are both great beautifully material designed explorers that are simple with very little fluff and some tricks of their own. They are quick, simple, easy to use, and perfect to move a file from point A to B without needing to include all of the cloud features others have. 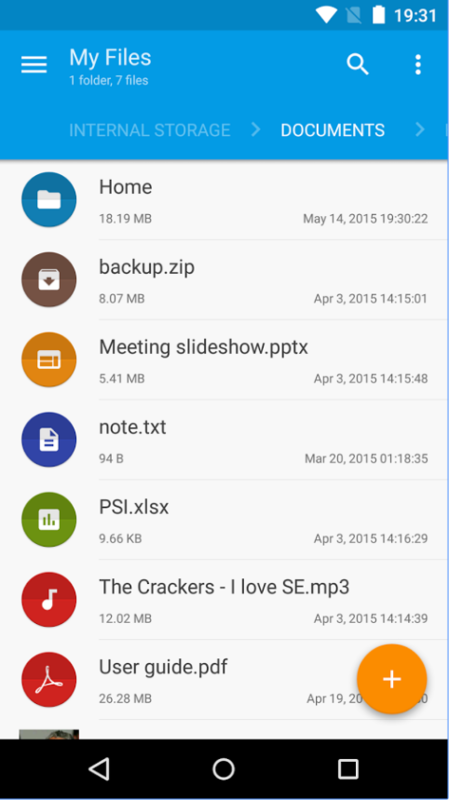 The truth is that even though ES File Explorer has turned its back on the Android faithful by resorting to some rather distasteful tactics, there are a lot of excellent file managers for Android. With so much choice one is guaranteed to fit your needs and look great at the same time, all without pushing annoying advertisements in your face. A lot of you replied on Twitter with your favorite applications and thanks for that! So reply in the comments with what are some hidden tricks and features for your favorite file manager? I've had a love for Android since 2009 but I also use iOS regularly. While I love rooting and customization, I tend to focus more on living with my devices. I also am just starting out writing in the PC space as I have always had a leaning towards this market. I am always all ears so PM, or Tweet me if you have any questions!